Lawton Burns and Mark Pauly, economists at the Wharton School, just published an article that should be required reading for all policy makers and health services researchers. The article, entitled “Transformation of the health care industry: Curb your enthusiasm,” appears in the latest edition of the Milbank Quarterly. Burns and Pauly undertook an enormous task and executed it well. They first sought to explain the assumptions underlying Managed Care (MC) 2.0 – the proposals promoted by the managed care movement in the wake of the HMO backlash of the late 1990s. Then they evaluated the probability that the MC 2.0 proposals will work as advertised. To do that, they looked at the relevant research and then at the social conditions that are impeding the implementation of those proposals. That’s a lot to bite off. This is an unusually valuable article because of its scope, organization, and documentation. I will summarize it first, then discuss it in more detail. I’ll close with a discussion of my one serious criticism of this excellent paper: The authors, having made it clear they think the current “value-based” approach to cost containment is doomed, profess to see no solutions to rising health care costs. Burns and Pauly are among the small minority of health services researchers who seem to be curious about the powerful norms that influence their profession but which are rarely acknowledged and never studied. They do not come right out and say, “Our profession resembles a religion more than a scientific discipline,” but you get the feeling they might agree with that statement if you could talk to them over coffee. They communicate their interest in the undiscussed norms both in the way they treat health policy jargon (they view it with some skepticism) and in their willingness to declare that fundamental assumptions underlying MC 2.0 were never tested. herding doctors into “integrated” structures such as ACOs will reduce the role of FFS, facilitate capitation and APMs, and thereby improve quality and lower costs. examining social forces working against ACOs and other APMs. Below I discuss all but the first test. I chose not to discuss the first test (comparing real transformations with superficial changes sought by the doomed “volume-to-value” campaign) because doing so gives the buzzword “transformation” far too much credence. Suffice it to say here that Burns and Pauly conclude that truly transformational changes take 50 to 80 years, and “volume to value” advocates imply “transformation” is just around the corner. Moreover, say the authors, the skills required to provide one service may not be the same skills required to deliver another service. For these and other reasons, they conclude it is not reasonable to expect any entity to produce lower costs across a wide range of services just by improving the quality of those services (as opposed, for example, to reducing the administrative costs associated with providing those services). But that’s precisely what “volume-to-value” buffs want us to believe. Burns and Pauly’s review of the literature on the correlation of cost with quality should by itself put to rest the question of whether the “volume-to-value” mantra will work. If in fact it’s impossible to make costs go down by improving quality for the general population (as opposed to selected, narrow slices of the sickest members of a population), then the “volume-to-value” project is doomed. Burns and Pauly’s fourth test asks, How widespread are APMs and are those that are in existence having any impact on cost or quality? Their answer to the first question is: Because the definition of “ACO” and other APMs is so vague, because APMs “nest” within each other (for example, “medical homes” exist within ACOs), and because it’s difficult to determine the extent to which doctors are aware of the financial incentives their APMs are exposed to, it’s difficult to determine the actual prevalence and penetration of ACOs and other APMs; but it appears the prevalence and penetration is low. Their answer to the second question is that ACOs and other APMs are having little effect on cost and quality. The authors’ discussion of these questions is the densest portion of the paper. I will summarize it briefly. They define APMs as “every payment method that (1) differs from an FFS method that rewards only volume, and (2) seeks to reward providers for taking accountability for cost, quality, or both.” The vagueness of this definition is not the authors’ fault: This is how “volume-to-value” proponents talk. Of all the summaries of the literature in this long article, the one I found the most useful was the authors’ summary of the research on economies of scale and scope in hospitals, clinics, and hospital-clinic chains. They report that economies of scale in clinics peter out at about 10 doctors, economies of scale in hospitals peter out at about 300 beds, and there are no economies of scale or scope in horizontally merged entities (multi-specialty groups and hospital chains) or vertically merged entities (hospital-clinic systems). In fact, mergers usually raise prices, which makes it extremely unlikely “value” can be improved. To recap, at this point in their article Burns and Pauly have identified two intractable obstacles to the “volume-to-value” fantasy: Costs do not go south when quality goes north; and the vertical and horizontal consolidation required to create ACOs has a negligible impact on cost and quality and, beyond a certain size, raises costs. Burns and Pauly review several political and social “headwinds” facing the “volume-to-value” campaign. The two most important obstacles they identify are total ignorance of the campaign among patients, and gross ignorance about and much apathy toward it among doctors. “There is no … nationwide movement of consumers asking for changes in how their doctors are paid or how their hospitals are organized,” they write. Having completed their masterful tour of the evidence indicating we should not hold our breath waiting for the “volume-to-value transformation,” Burns and Pauly offer some useful advice and one piece of bad advice. The good advice includes the suggestions that “we may need to stop bashing FFS models” and “analysts and advocates may need to come to terms with the likelihood that the triple aim cannot be achieved over the long term.” Their bad advice is that there are no solutions on the horizon and the best we can do is hope that “someone, somewhere, will invent a method of payment or management that can slow spending growth appreciably without harming quality.” They correctly dismiss high-deductible health plans (HDHPs). They note that “results from HDHPs indicate patients restrict all types of utilization (both high‐value and low‐value care) in order to reduce spending.” But they do not even mention the primary methods of cost-control used throughout the rest of the industrialized world, notably single-payer systems and price controls (aka all-payer systems), which are used in both multiple- and single-payer systems. The fact is, mergers are done to give the merged entity more control over the prices it extracts from its customers and the prices it pays its labor force and suppliers. If price is the reason for gigantism, and if gigantism in turn drives up prices, then our search for a solution must focus on prices and the administrative waste and consolidation that drives prices up, not overuse allegedly induced by FFS payment. If uniform fees had been in place by the 1980s, the rise of the HMOs and the race to gigantism the HMOs set off might never have occurred. As Burns and Pauly noted, HMOs kept their premiums slightly below those of traditional insurers by squashing provider fees, something they couldn’t have done in an all-payer system where providers earned the same fees for the same work regardless of whether the payer is a 1,000-pound gorilla or a 50-pound gorilla. Note that I’m not criticizing Burns and Pauly for not writing another ten pages on the pros and cons of price controls and other possible solutions (and I don’t intend to discuss the pros and cons of all-payer and single-payer systems here either). I am criticizing them for their failure to even mention a system of uniform fees and prices. There is in fact a way out of this mess. The first step is to understand that the current “volume-to-value” fad is making the mess worse. Burns and Pauly have helped us take that first step. In this article and at least one other, Burns and Pauly make an argument I agree with – that there is little difference between the managed care fads promoted in the 1990s and those promoted since about 2000. But in making that argument, they make a distinction I disagree with. They focus their criticism of the 1990s fads on physician and physician-hospital groups that sought to bear insurance risk rather than on the HMOs that rose to their peak influence in the 1990s. 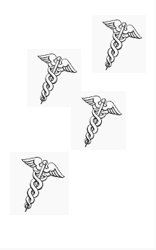 The HMO, not the fewer and smaller physician-run groups, was the hallmark of MC 1.0. Moreover, the authors claim HMOs were temporarily successful in lowering costs. I disagree. The brief respite from health care inflation of the mid-1990s was caused by the recession of the early 1990s, the record-breaking decline in economy-wide inflation that began in 1992, and the merger mania that broke out in 1993, not the spread of HMOs (see my article in Health Affairs ) I don’t understand why Burns and Pauly would want to make the pointless distinction between HMOs and risk-bearing provider groups. Focusing on HMOs would have made their argument that MC 2.0 is just old wine in new bottles even more persuasive. I disagree with Burns and Pauly’s characterization of research done by Elliott Fisher and his colleagues at the Dartmouth Atlas. They state that that research demonstrated an inverse correlation between cost and quality. That’s not an accurate description of Fisher et al.’s research. Even Fisher et al. did not make that claim in their writings. They did make that claim during public appearances, and they were forced to walk it back by the New York Times. The terminology and methodology used in the surveys of APM prevalence and penetration were all over the map. Here is an example of the complex findings of one survey: “A 2016 physician survey indicated that compensation is tied to quality or value among 43 percent of physicians; however, 77 percent said that only a fifth or less of compensation is linked, while 51 percent said it was less than a tenth.” What do we make of “tied to quality or value”? But we can discern a basic truth: Most physicians are not paid according to “value” and only a small fraction of the incomes of those who are is exposed to risk. Here is another example: The percent of hospitals reporting that any portion of their revenues were capitated fell from 13 percent to 8 percent between 2003 and 2014. Economies of scale occur when the growth in the size of a business reduces the cost of each unit of production. Economies of scope occur when a business expands into a new line of business, for example, a hospital buys a nursing home, and the expansion reduces per-unit costs. As most likely chosen by Barbara Bush, I would also chose a rapidly evolving episode of pneumonia to say good-by. There are a lot of papers showing worse outcomes when deductibles are high. Don’t recall specifically one on mortality, expensive long term studies, but several note worse BP control and stopping medications that would lead to worse outcomes and death over the long term. IIRC, most of the RAND studies didn’t look at mortality either. Steve2, thanks for the reference. 1. It was published in 2005, and the study they cite to show poor outcomes is from 1986. For me to believe the self interested naysayers or the genuinely disinterested doubters i need some better evidence before we throw away the only approach that has good evidence that it reduces/slows health care spending without imposing severe restrictions designed by bureaucrats and politicians. Paul, you are spot on as usual. Those pushing an ideology keep forgetting that their studies are incomplete and poor while they disregard the broad economic proof that markets function to provide the buyer with the best price available for his needs. Their complaint is generally the outlier who if needed can be subsidized from general revenues that need not be federal revenues.